The decision comes as no great surprise. The tender process has been widely criticised and a High Court judge has already called one of the individual decisions “dreadful” and “totally irrational” (see our post). … the judges said the LSC had “unfairly” failed to make the importance of this clear in time, leading to “an absence of awareness” among firms that double accreditation was required – until it was too late to apply, said the judge. Many highly-qualified firms were thus not given sufficient time to apply for the necessary accreditation. 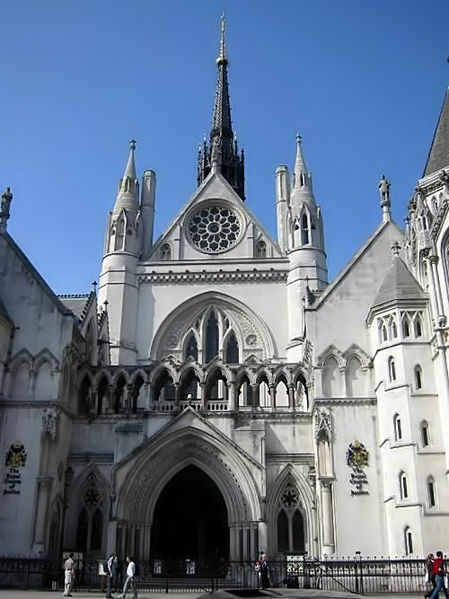 The tendering process was “unfair and irrational” as it “inhibited and defeated” the objective of the LSC, which was to achieve a high-quality legal aid service for the public, said the judge. The JR was won on the issue of the significance given to panel memberships and the notification of that significance only. The wider argument on the equality duty and a failure to undertake a sufficient impact assessment wasn’t decided upon. Although the LSC could in theory ignore the decision, it is now likely either to appeal or rethink the tender process. This may only serve to delay the inevitable, however, with the system of legal aid under enormous budgetary pressure. We will provide more commentary when the ruling is available. Update, 1 Oct 2010: See the comment below, and the amendment above. The court’s discussion of the wider equality issues “certainly did not suggest that they would have failed if a decision had been made – quite the contrary.” This could suggest that if the LSC simply redid the tender with the technical failings addressed, the courts may still be amenable to more wide-ranghing arguments relating to the government’s duty to ensure access to justice. So this victory may not, in fact, be short lived. This is an example of how the Carter reforms are bound to work. Carter’s central idea is that there should be fewer firms. Neither he, nor LSC, have any realistic idea of how solicitor’s firms work internally. His proposals ride roughshod over the complex netweorks of relationships between partners and the various financial and personal interests in their firms and ignore the equally complex networks which establish their position in their localities. Carter would pull these networks apart; it is good to see te Law Society standing up for the profession and the reult of the judicial review is welcome. However, if carter is to be defeated, there is much fighting to come. With LSC now an in-house agency of the Ministry of Justice and Osborne’s budget due shortly the outlook is gloomy. Predictions are that civil legal aid will virtually disappear (as argued for by the Adam Smith Institute) and family be further restricted. Legal aid needs powerful and wel-connected champions. Your quote from Nearly Legal, that the wider arguments “got nowhere” is incorrect, and has now been corrected on the Nearly Legal blog itself. The position is that the judges, having found that the tender was unfair, irrational and unlawful on the first ground of challenge did not go on to decide grounds 2 and 3, because they did not need to do so. However, the comments they made on those grounds certainly did not suggest that they would have failed if a decision had been made – quite the contrary. Overall, the LSC was very severely criticised by the Court. Parts of its evidence were rejected as factually incorrect, and its own webside was described as (inadvertently) misleading. The very clear finding of the court was that the tender was irrationally conducted, in a manner which failed to meet the LSC’s own statutory duties and policy objectives, and in a way which deprived vulnerable people of expert representation.